3D printing industry is growing up and we could hear about new 3D printer models with increasing frequency. Please welcome a new 3D printer model called OWL Nano, named after its originating company, Old World Laboratories. The OWL has a curious and a little bit strange design but at the same time can deliver incredibly good resolution. It is based on photo-cured resin technology and uses a laser to selectively cure layers of UV-curable resin, gradually building up an object. 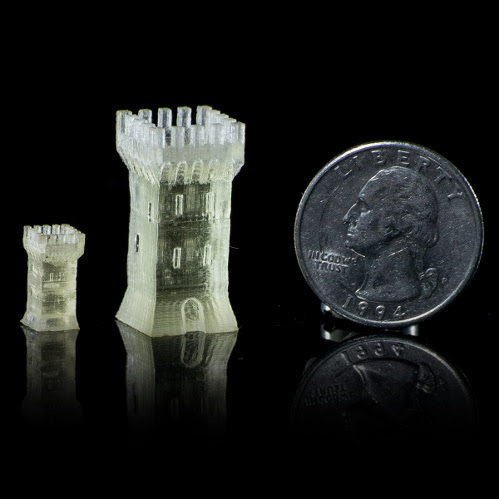 The main feature of the OWL device from other 3d printers using the same technology is its ultra-high resolution. Other laser-based resin 3D printers use a system of mirrors to direct the laser light toward the resin surface. 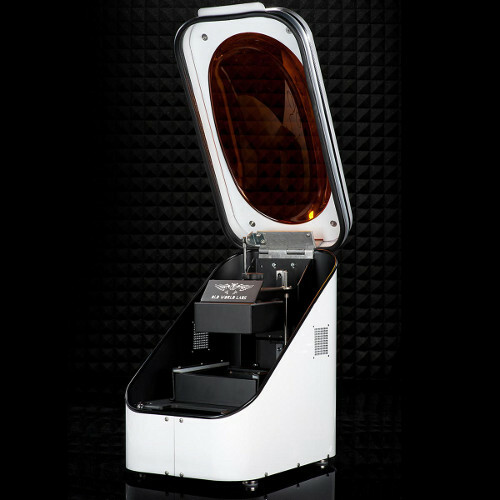 Creators of the OWL Nano entirely eliminated the mirrors so that the single-strand laser can blast the resin directly. Thanks to this invention the laser beam can be much more accurate. The OWL spokesperson claims that they were able to achieve 0.1 microns which is equals to 0.0001 millimeters! You may find more detailed information and order the OWL Nano (the current price is $4,900) following this link.